CMPSU-600CXV2 - Ideal for Home and Office Use. The Corsair Builder Series of PSUs are designed for worry-free compatibility for your home desktop PC system build or upgrade. With features usually reserved for premium power supplies, it's a great choice for systems where continuous and reliable power delivery and low noise are essential. Inside you will find a power supply that conforms to universal ATX standards, a power cable, and a clear, detailed Quick Start Guide. 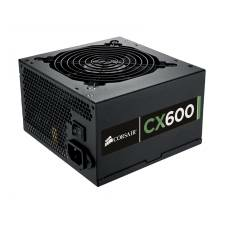 Corsair Builder Series power supplies get your system up and running quickly and easily, for years of trouble-free operation.